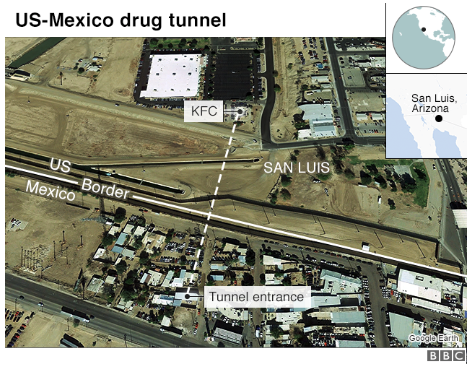 Homeland Security and Border Patrol held a press conference last week disclosing new details of a secret drug tunnel stretching from a former KFC restaurant in the state of Arizona to Mexico. 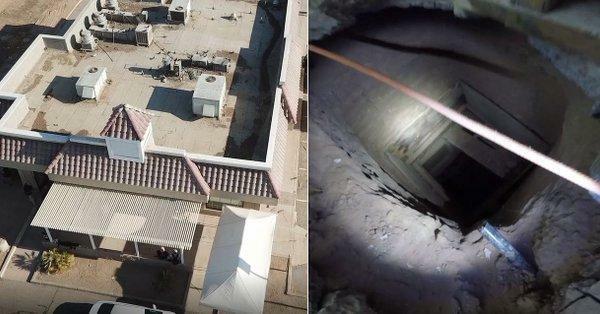 According to NBC-affiliated television station KYMA, Homeland Security said the tunnel was discovered on August 13, after the building’s owner Ivan Lopez, was pulled over by the San Luis Police Department in a routine traffic stop. A canine unit found hard drugs stashed inside toolboxes in Lopez’ utility truck. Inside the metal boxes, officials said they found 118 kilograms of methamphetamine, six grams of cocaine, three kilograms of fentanyl, 13 kilograms of white heroin, and six kilograms of brown heroin. In a press conference on August 23 (below), Homeland Security Special Agent in Charge Scott Brown said the fentanyl alone was equivalent to three million dosage units. 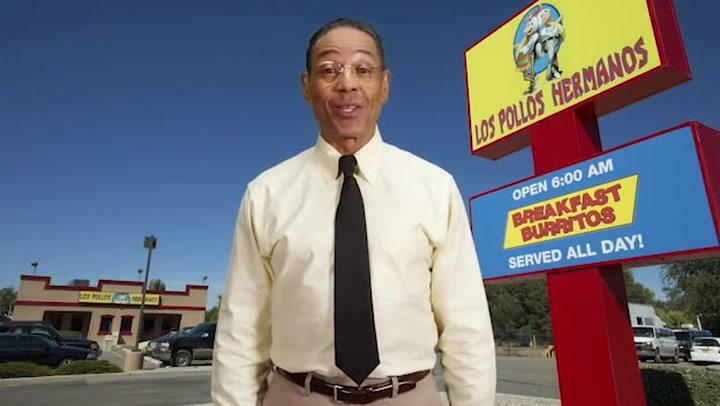 Shortly later, government agents executed a search warrant at both the former KFC and Lopez’s home. Agents were shocked when they discovered a trap door leading to the entrance of the tunnel in the kitchen area of the restaurant. Officials specified the opening is only eight inches in diameter. The tunnel is 22 feet below the surface and extends about 600 feet, officials explained. It ends at a home in San Luis Rio Colorado, Sonora, Mexico. At the Mexican side, officials found the tunnel exited through a trap door underneath a bed. With the evidence left behind, officials believe the large amounts of narcotics were being smuggled through the tunnel via a rope. However, this is not the first time international drug smugglers used a tunnel across Mexico–United States border — two years ago a 2,600ft tunnel was found by Homeland Security in San Diego, California. It was one of the longest drug-smuggling tunnels in American history, used to transport an “unprecedented cache” of narcotics. While Americans demand a low-cost solution for their expanding drug habits, Mexico has stepped up in recent years to be that cheap supplier. In July alone, US Border Patrol seized 15kg of heroin, 24lbs of cocaine, 327kg of methamphetamine and 1,900kg of marijuana at border checkpoints nationwide. 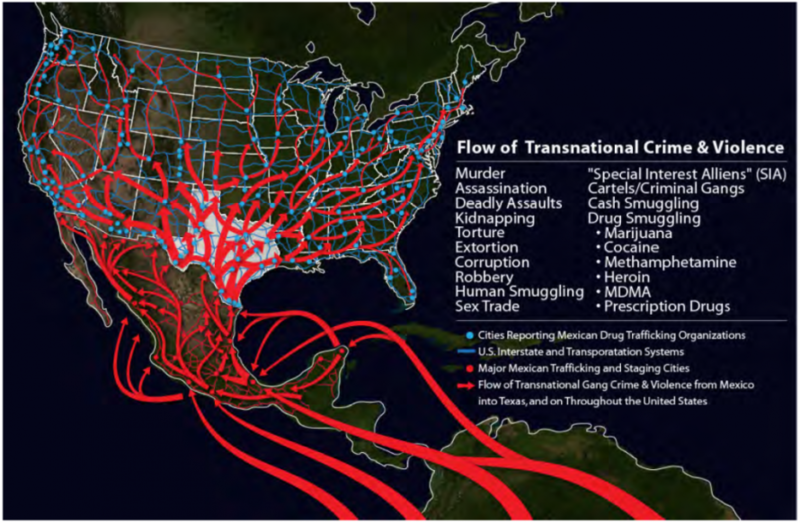 As the US heartland continues to fracture and the opioid crisis rages on, it seems that a border wall will likely be rendered useless through the increasing use of tunnels. And with Trump’s border wall estimated to cost tens of billions of dollars, perhaps, government officials should consider reallocating taxpayers resources to also curb the addiction problem first, as US society continues to die from within.